Devon Appliances is an independent specialist retailer based in East Devon, the heart of Jurassic Coastline. Our stores have a background history of appliance and kitchen installations over 20 years with some of the best technical and friendly staff. Our mission is to offer an unbeatable five star service to all our customers which comes in four simple steps. 1, purchase your product over the telephone or through our fast online highly secure website. If you want to see your product 'in the flesh' then visit our Seaton and Axminster retail outlets for a demonstration. 2, we deliver your product safely to your door. We'll can even ring you to let you know what time to expect your delivery, saving you from waiting in all day. 3, we offer installation of your new product. 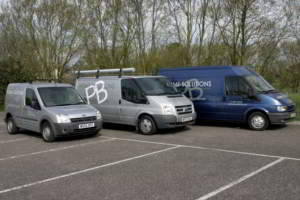 Our installation team are trained and qualified engineers. 4, Devon Appliances can dispose of all the packaging and your old appliances. We recycle our cardboard, polystyrene and scrap metal and refrigerated items are disposed of in an environmentally friendly way. On top of all this you get a free warranty with all products. Devon Appliances offers and delivers the complete package...all from a local company. When you purchase from us you can be confident that you’ll get the perfect product to suit your needs. We have a team of dedicated advisors on hand to take you through all the choices and determine which purchase is the right one for you. Our staff are highly experienced, so you can be assured that the information we give you is always going to be accurate and helpful. If you’ve got a question, a problem or a query with anything you’ve bought from us then we want to hear it. We’ve got a dedicated customer support team ready and waiting to deal with any of your issues, so you can be confident that there’s always help at hand. Either call our one of our offices or go online and send us an e-message. However you contact us we’ll aim to sort out any problem you have as quickly and effectively as possible. Devon Appliances is a trading name of PB Home Solutions Ltd. We have been supplying, designing and installing kitchen and bathrooms for over 20 years with a first class reputation for completing on our promises.